I have always hated eating porridge for breakfast. I don’t know why, but I’m not usually a breakfast eater, except when it comes to bagels, fried eggs, Mannaya Kasha or Cream of Wheat. While the rest of the family ate porridge, I ate my Mannaya Kasha. It’s better known in the US as Cream of Wheat or Farina. What is Cream of Wheat? This Cream of Wheat recipe or Mannaya Kasha is a popular breakfast in Eastern Europe and Russia. 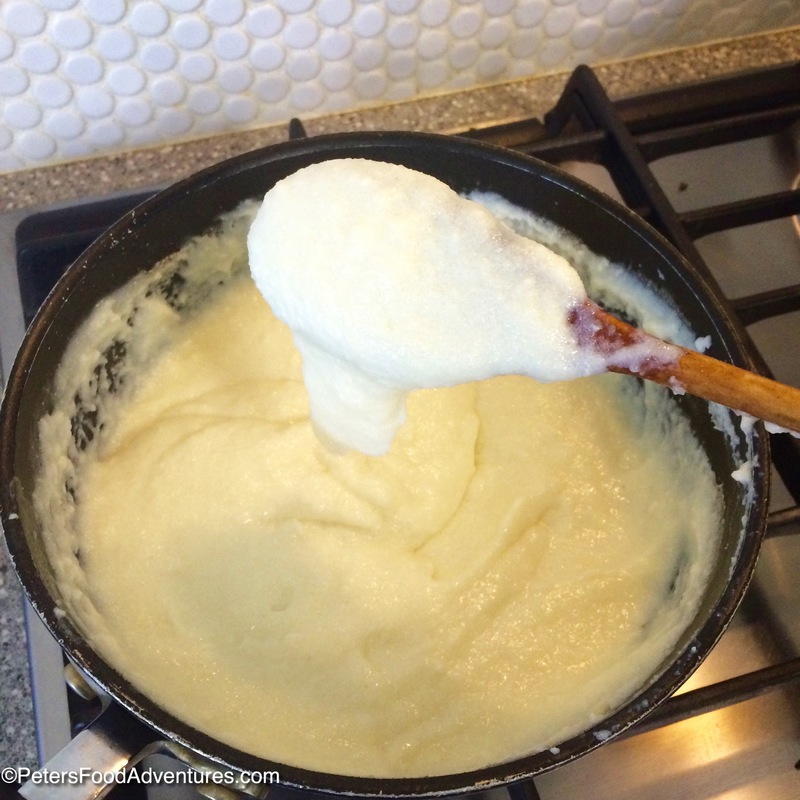 It’s Semolina cooked in milk to make a hot breakfast porridge, usually served with jam or fruit. Semolina is the hard grains leftover when milling flour. The Cream of Wheat brand was manufactured in the USA by Nabisco in 1893, and is a popular breakfast meal. 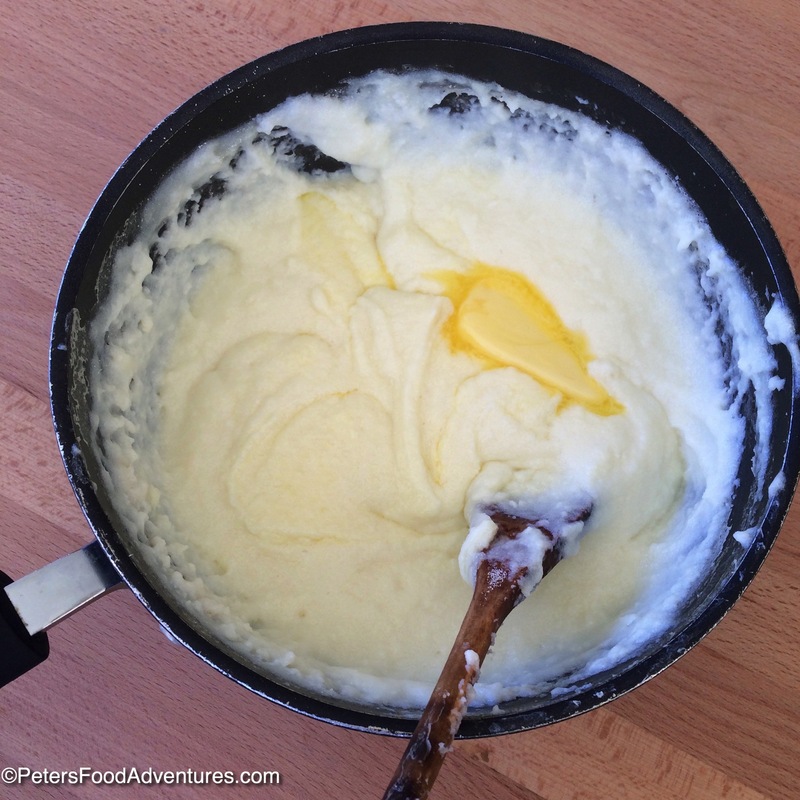 When making this Cream of Wheat recipe, always use milk! Don’t cook Cream of Wheat with water, that is just disgusting and shouldn’t even be an option (like suggested on the back of the Cream of Wheat box). It’s so easy to make a homemade Cream of Wheat recipe, you wonder why they charge so much for it in the store. As a kid, I was the only person in my class that ate this for breakfast, I suppose maybe it was just a cultural difference. Boy, how I wanted my parents to buy me Fruit Loops, good thing they didn’t! The Russian way to prepare Mannaya Kasha adds salt, sugar and butter at the end. You end up with a semi-sweet, slightly salty breakfast kasha. I always add 2 teaspoons of brown sugar, which gives it a caramelised flavor. My son loves it so much that this is the first meal he learned how to cook on the stove by himself. This Cream of Wheat recipe is a Russian breakfast classic, alongside Buckwheat Porridge and Oladi Kefir Pancakes. 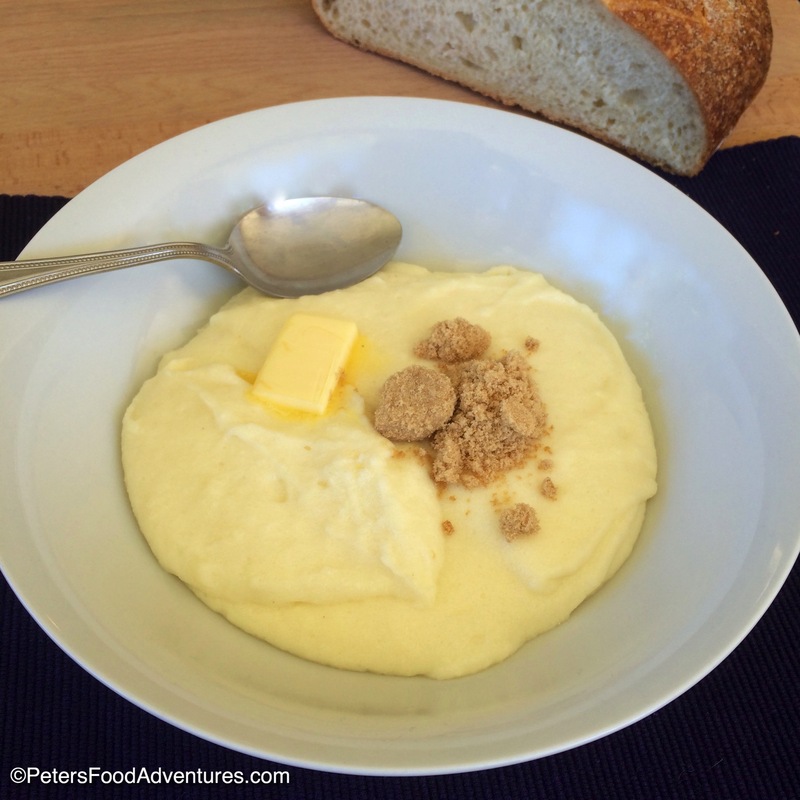 So next time you see Semolina in the grocery store, buy it, and give this delicious breakfast recipe a try! Bon Appetit! Приятного аппетита! 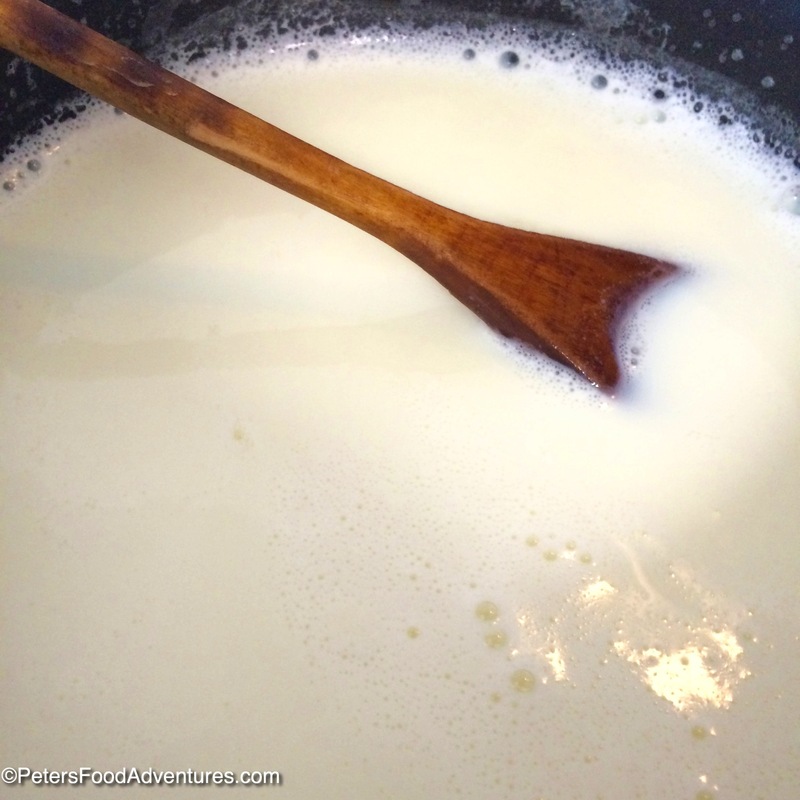 Pour the milk into a medium saucepan and bring up to a boil. 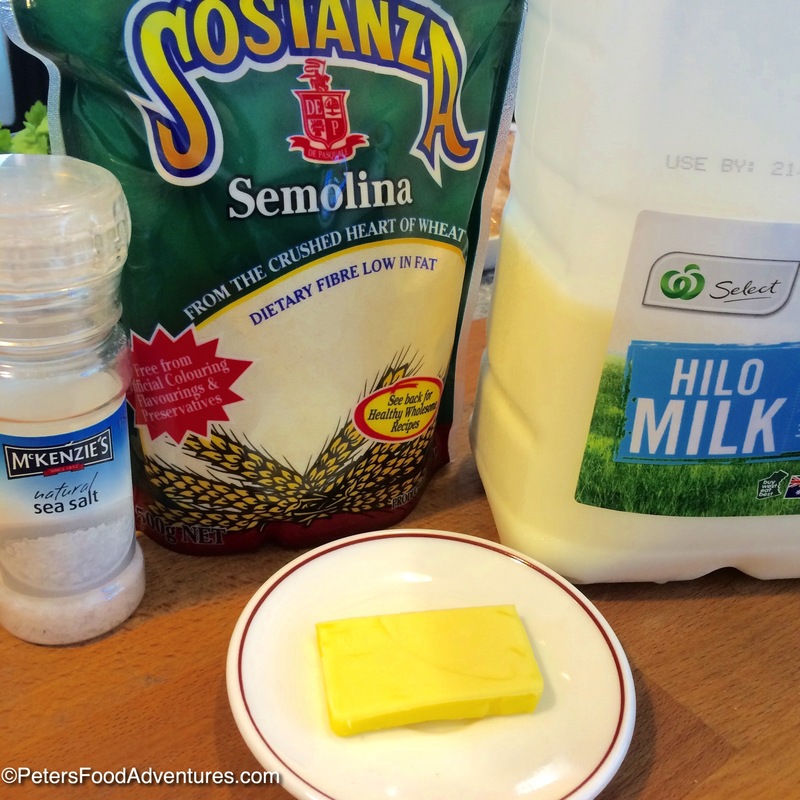 Slowly add the semolina into the hot milk, while stirring rapidly and continuously. If you add the semolina too quickly, it will clump up into small balls, ruining the consistency of your porridge. Keep rapidly stirring whilst adding more semolina. Continue to stir until porridge starts to thicken to your desired consistency. Add the sugar, salt and butter and stir until mixed through out. Serve. I add an extra knob of butter to my bowl, plus 2 teaspoons of brown sugar. There is something like this in the middle east very nice! Thanks Lynz, it’s so good and filling too isn’t it! I remembered my Ukrainian mum making this for us children growing up in Australia. I don’t think she put butter in it. I must ask her about it since I adored it and am drooling after not having it for about 4 decades 😉 I do have some of that brand of semolina in the freezer to use when baking sour dough so should have made some. What a great memory. It’s my favourite type of ‘porridge’ for breakfast ???? Hope you enjoy it! A splash of vanilla extract make it even better! Peter, thank you for the recipe! I loved this for breakfast, growing up in Kazakhstan, and now my kids love it, too. To make it even better (perfectly creamy and without any clumps), here’s a simple tip: pour semolina into cold milk, then start warming it up while constantly stirring. There will be no clumps whatsoever. My mom always cooked it that way! can i make it at night and reheat in the morning? No, unfortunately this isn’t a make ahead type of meal. It solidifies when it’s cool and hard to reheat. You could add more milk and try, but I don’t recommend. Fantastic blog – thanks Peter!